An antique-gold-finished brass statue of the Long Life Buddha, Namgyalma, who bestows longevity and healing on those who seek her blessings for the purposes of attaining Enlightenment and benefiting others. This is a meaningful gift for one's lama, parents or loved ones with wishes for good health and longevity. A brass statue of the Long Life Buddha, Namgyalma, with full iconographic detail according to traditional scriptural sources. 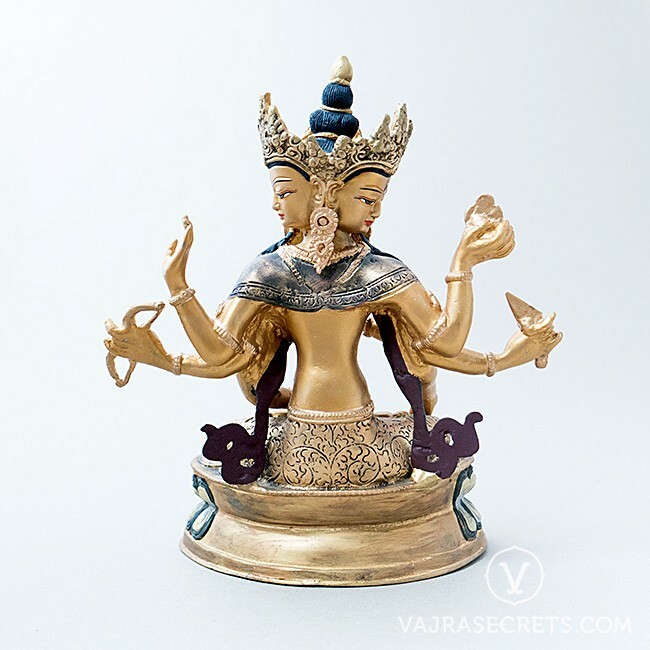 With an antique gold finish hand-painted by master artists trained in the Tibetan tradition, this stunning statue will take pride of place on any altar or shrine. Namgyalma came into being when Buddha Shakyamuni manifested in her form to help the deva named Susthita avoid a rebirth in the three lower realms. She bestows longevity and healing on those who seek her blessings for the purposes of attaining Enlightenment and benefiting others. She also purifies the negative karma of the body, and averts diseases and life-threatening situations. 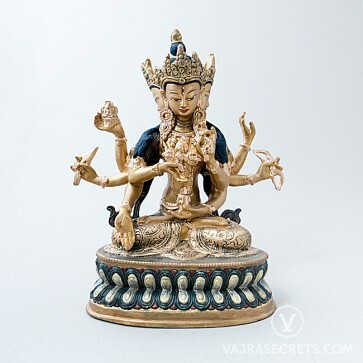 Her practice is extremely efficacious to remove obstacles for one’s long life. 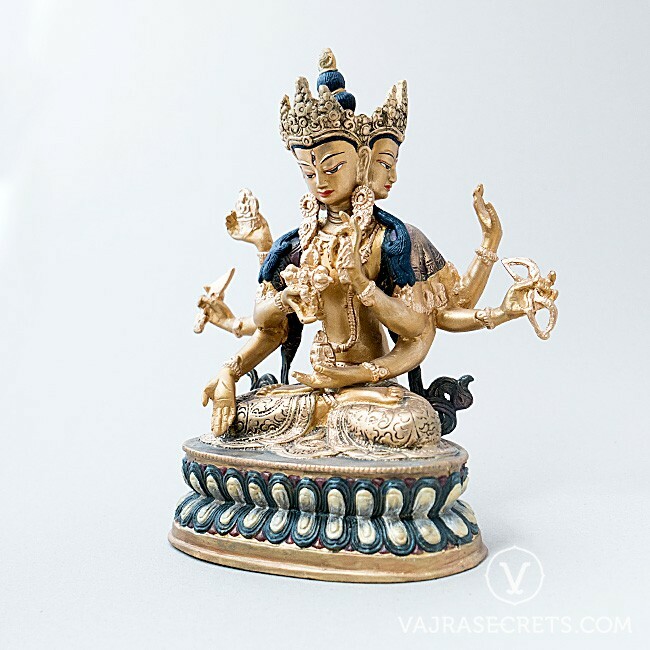 This Namgyalma statue can be personalised with insertion of mantras and holy items. One can also offer traditional brocade clothing, pearls and semi-precious stones, as H.E. 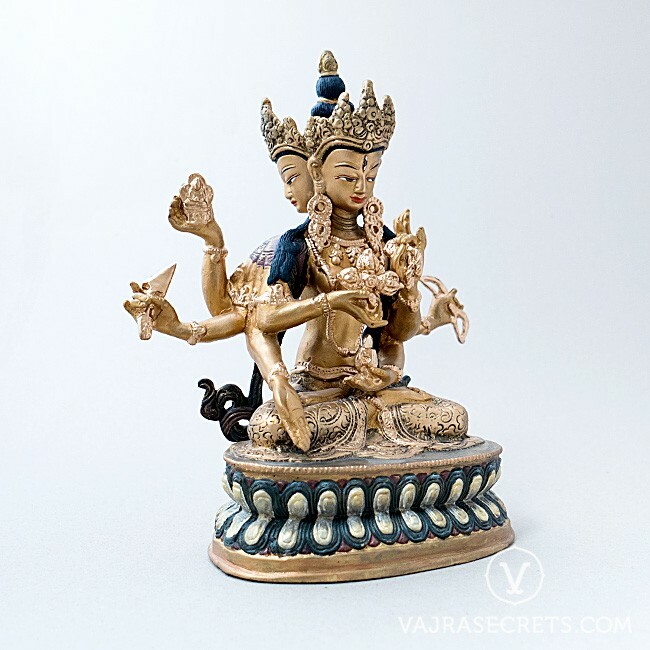 the 25th Tsem Rinpoche always encourages the practice of making offerings to the Three Jewels, which creates the causes for us to attain the six paramitas (perfections). It is a meaningful gift for one's lama, parents or loved ones with wishes for good health and longevity.